Baby's first christmas. 6 3/4"H. Caucasion baby. 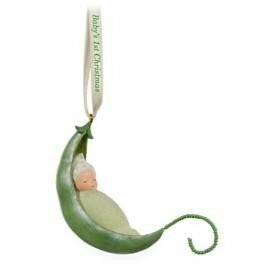 Items Similar To "2009 Hallmark LITTLE SWEET PEA Baby's First Christmas ornament-Ca..."